Season 3 of Telltale’s The Walking Dead is expected to arrive at some point this year, but things have been quiet while their Michonne miniseries got some time on the zombie-splatting stage. The first details have now started to emerge, however, from none other than The Walking Dead creator Robert Kirkman himself. While you’re waiting for more TT walkers, why not check out our list of the best zombie games. Speaking in an IGN video, Kirkman speaks candidly about his trust for Telltale to expand on his universe, and how Season 3 will fit into that world. He continued to reveal that Clementine, your companion in the first season and the protagonist of Season 2, will be returning in some form. Hopefully not as a zombie. “We’ll be checking in on Clementine again, so we’ll be seeing her, seeing where she’s at and what’s going on with her, which is going to be great,” Kirkman said. Judging by the time-line, Clementine will be a bit older in this season, but it’s not clear whether we’ll be playing as her this time. Telltale aren’t scared of playing with different perspectives, after all. Whatever they are going with, though, apparently it will tie in a bit more with the universe as a whole. 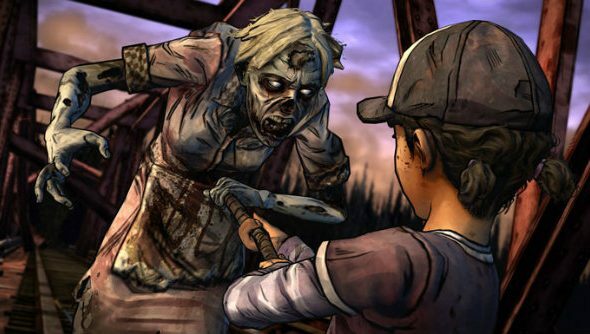 The Walking Dead Season 3 is expected to release some time this year.